This persona model was developed from design research which was conducted in fisheries in Mexico, Chile, and Indonesia. When we were developing concepts to incentivize sustainable practices, we assigned specific personas to specific roles to evangelize, manage, and implement solutions. For more information, visit Dalberg Design Website on it's Sector page on "Sustainable Fisheries" for the full case study. Fish stocks are depleting in the oceans, leaving coastal communities even more at risk for collapse of a local economy. So many problems arise out of fisheries — over-fishing is leading to collapse of ecosystems bc of tragedy of the commons. yet we have a large global demand, so people are fishing further out to get the fish and kidnapping and enslaving people along the way. People look to create technology tracking devices for boats to see who is breaking the law for the quota. There are entire coastal populations on the coast who’s livelihood and nutrition relies on small-scale fishing - if these ocean ecosystems collapse so do their communities. In addition, your blue swimming crab cake is smaller at much higher price. Give voice, participation, and power to artisan fishers when converting to sustainable fishing practices. If you protect the communities who are stewards of the ocean, you can protect the seafood industry, an estuary, and local economies. Empathy for a grant-making organization, by taking a portfolio approach with their grantees. Working for Rockefeller Oceans and Fisheries team for a year was a very tense time with the senior director of the program and her program officers because their investment area was potentially going to be shut down. They need to show progress in their investments, and our job was to focus on the needs of small scale fishers within 3 other grantees focus areas in order to move them to implementation (not just analysis). While DIG itself didn't receive follow-on work for a fourth cycle, we supported the larger success of the portfolio. The grantees we worked with had continued funding for ~500k in a pilot. I think that's was a great demonstration of thinking about impact as a grant-making org, less as a design firm. When working on "wicked problems" and get out of analysis-paralysis. Oceans is a wicked problem is much more complex of governance, tragedy of the commons, global trade etc. 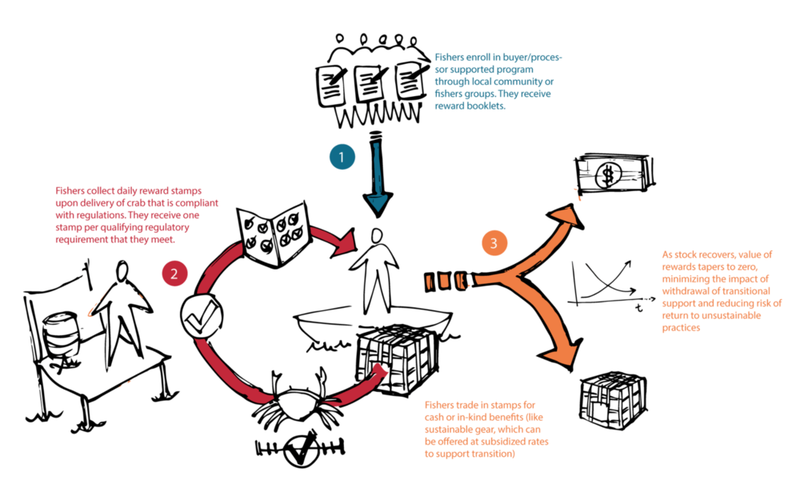 In order to take some action, we isolated the case for small scale fishers with high value that are internationally traded and can only be fished with small scale boats (shrimp, crabs, tuna). 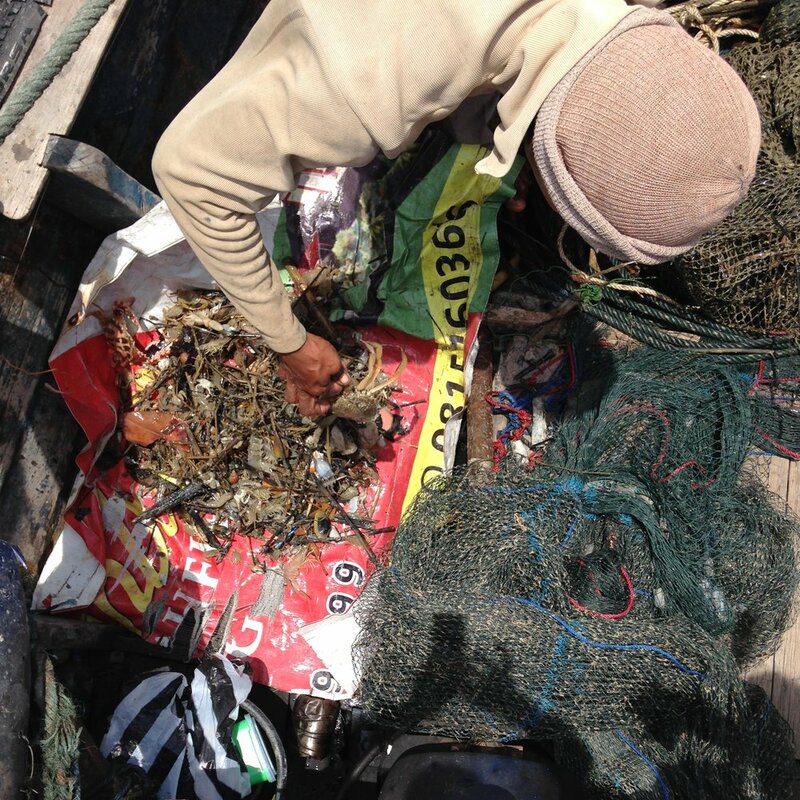 Very little research for the small-scale fisher was conducted in developing country fisheries.